One day after the tenth anniversary of Bitcoin, DeBlock had its first official meeting. 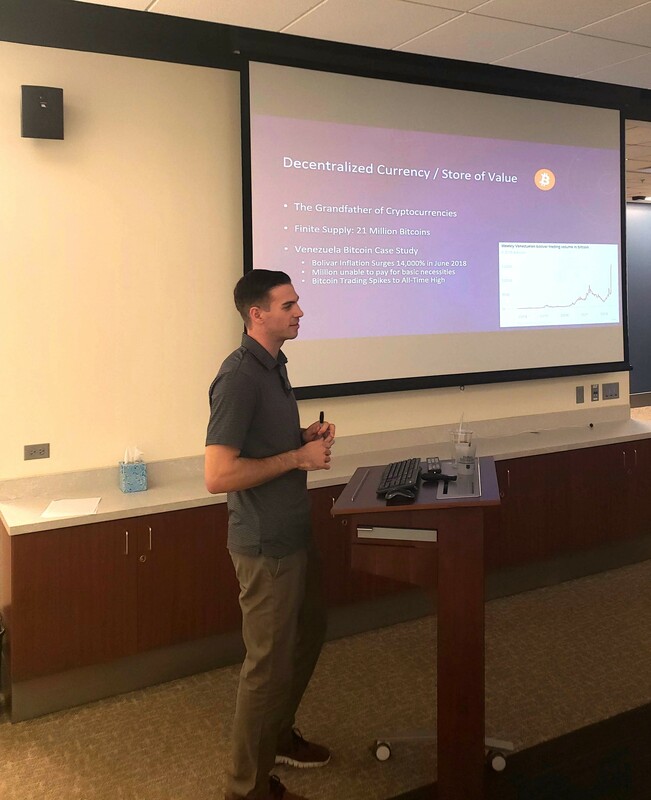 Held in the Coleman Entrepreneurship Center at DePaul, DeBlock’s purpose is to bring together students and faculty so they can share ideas and learn more about blockchain technology. DeBlock’s formation came as a natural response to the students’ need to find out more about the growing popularity of blockchain technology. Abigail Ingram, the assistant director of the Coleman Center at DePaul, says that it was Amit Rampurkar, a DePaul alumni of computer science, who brought the question about what blockchain learning was available at DePaul. 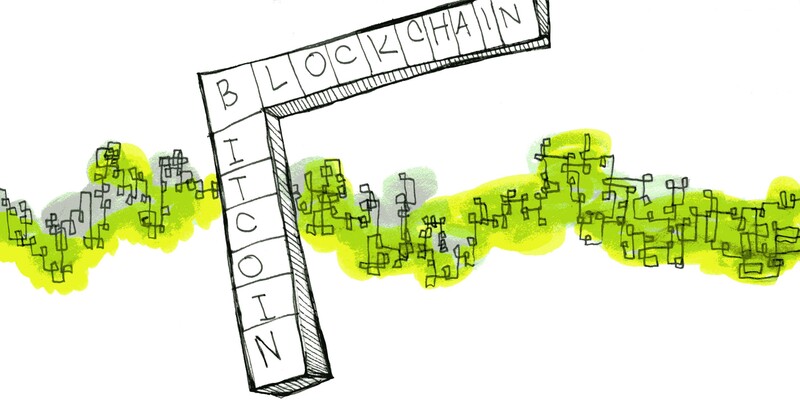 But what does blockchain really mean? Blockchain is a decentralized system of peer to peer transactions that cannot be corrupted or censored because it’s managed by its network independently from any central authority. In other words, blockchain is a chain of blocks where a single block is made of digital pieces of information. These blocks store information about transactions, who participates in them, and each block stores data that is always unique.What’s more, a single block can store multiple numbers of any type of data and their transactions depending of their size. Blockchain’s first real-world application was Bitcoin. This is a digital currency for which a global network of computers using blockchain manage the database recordings of Bitcoin transactions. Bitcoin’s creator(s) with pseudonym Satoshi Nakamoto refers to Bitcoin as an absolute peer-to-peer version of electronic cash, allowing an online payments without using of any financial institutions. Lamont Black, an assistant professor of finance at the College of Business at DePaul, says that if DePaul is going to prepare students for the future workplace, blockchain technology should be discussed in the classroom. “It is a much more efficient way of keeping track of things, whether is money or physical good,” Black said. To best explain this, Black came up with the Scrabble analogy where, just like the game, there are multiple people adding information to the board. Players contribute words on other words while all players look at the board and agree to any changes. “So together, we are building this infrastructure of information among us and agree what can and cannot be done,” Black said. In the field of cryptography and network decision making exists the so called Byzantine generals problem, according to Black. This is when multiple members of a community question how many of them need to be trustworthy before making group decisions. So, if one of the members is trying to make a wrong decision, the question is “how robust is the network to preventing that?” Black said. Thus, once a transaction is been added to the blockchain, it is impossible for anyone to go back to delete or modify this transaction because it had been seen, agreed and recorded throughout the network. Jeffrey Wiand, graduate student of computer science and president of DeBlock, wants more courses on blockchain to be taught at DePaul. “When you think of blockchain in Chicago, I want to think of us,” Waind said. But even those who don’t usually think of blockchain at all can have a voice in DeBlock. For example, in May Goldman Sachs launched USD Coin, which is the first cryptocurrency released by a major financial institution. “The students need to prepare and grow along with the changes that are happening,” Black said. DePaul has a dedicated blockchain coding course offered in the College of Computing and Digital Media where students can learn about Ethereum and solidity. Ethereum is a blockchain technology whose goal is to replace third party e-commerce companies like PayPal, and solidity is the programming language on which it can be developed. There is a new committee of people at DePaul, where the Business School, Computer Science department and the Law School think about ways they can work together “because this is very interdisciplinary,” Black said. The most logical approach, according to Ingram, was to start a group where students and faculty can discuss what they might get from a blockchain program. “I want companies, small and large, to hire DePaul grads in the blockchain realm in three to five years. I want this to grow, people to get involved and enjoy, and if they have an idea to be able to build it,” Wiand said.